On the 20th December 2018 the Bishop of St Albans, the Rt Revd Dr Alan Smith asked a question he had tabled to Government about Yemen and the shortfall in aid needed to resolve the humanitarian crisis. 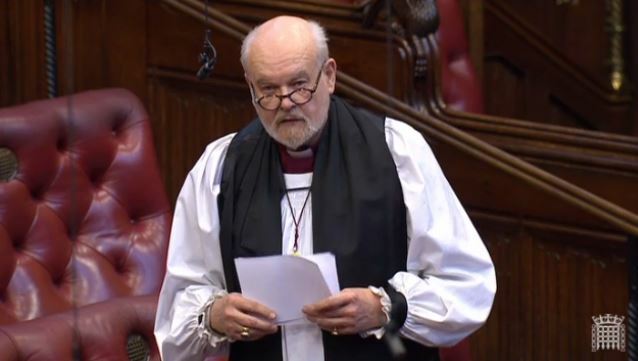 The Lord Bishop of St Albans: To ask Her Majesty’s Government what steps they are taking to provide humanitarian relief to Yemen following the agreement of the ceasefire in Hodeidah. On the 22nd February 2018 the Bishop of St Albans, the Rt Revd Dr Alan smith asked an urgent (Private Notice) Question in the House of Lords about the humanitarian situation in Eastern Ghouta in Syria. The Bishop of Leeds, the Rt Revd Nick Baines, also asked a question during the follow-up. Both the Bishops’ contributions can be found below. On 6th July 2016, Earl Howe repeated a Government statement on the Chilcot Inquiry. The Bishop of Ely, Rt. Rev. Stephen Conway, responded to the statement.